Just purchased this from eBay. Anybody has the product and how's the performance? 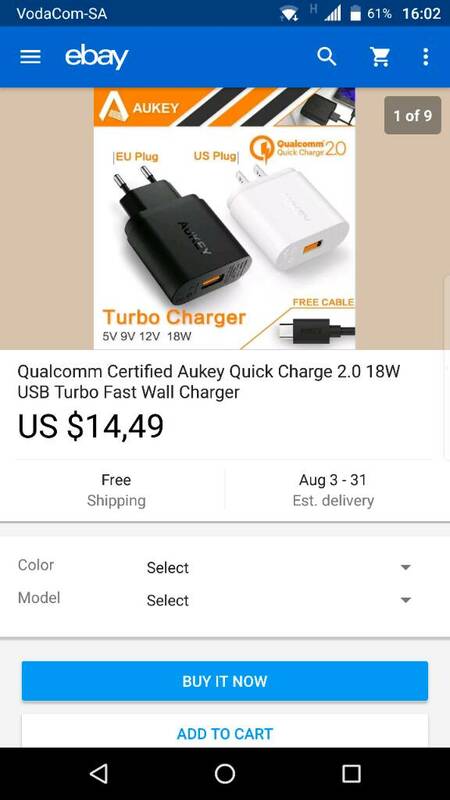 I have several of the Aukey QC2.0 chargers. Not this particular model, but they work great. I've not had any issues with the aukey ac charger. However, I would stay away from the aukey QC 2.0 car charger. It blew my fuse. I replaced it with an Anker 3.0 (figured might as well for possible future use), no issues on that one. I have two of them. Work fine. If you test them against the standard charger, do that test when the battery is nearly flat, otherwise you won't see a difference. I've been using the Aukey QC2.0 car charger for 3+ months. No issues here. Have a 3-port desktop (1x QC2+2x 5V3A) and a 1-port QC2 Car charger, works fine. Just be careful with the micro USB cables that come with it. I used my Asus tablet one and my Palm ones and they are fine. Why does my BB Classic randomly switch from headphones to speaker? Can I downgrade to OS version 10.3.2 from 10.3.3?